Brandon Evenson is a lawyer, Canadian and U.S. patent agent, and Canadian trademark agent in our Toronto office with a background in computer and software engineering. Brandon provides business-focused legal advice on intellectual property (IP) matters to companies, with a focus on the high-tech, software, insurance and banking sectors, including the fintech sector. Brandon regularly advises senior management and general counsel on the creation of IP protection and enforcement strategies, including the development, enforcement and commercialization of worldwide patent portfolios. Brandon has experience directing the prosecution of patent portfolios in over 40 jurisdictions (covering over 80 countries) around the world. Brandon also frequently appears before IP administrative tribunals and the Canadian Federal Court to secure and enforce his clients’ intellectual property rights in Canada. 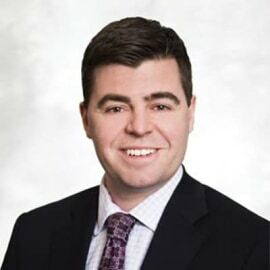 Brandon specializes in using competitor intelligence to develop worldwide patent protection strategies on software-based technologies for a commercial and legal advantage. Brandon’s deep technical knowledge of software/computer systems and legal and business experience with enforcement and commercialization, enables him to provide integrated approaches in such matters.